Julian Assange, computer programmer and founder of whistleblowing website Wikileaks, has been arrested by British Police. He was arrested on Thursday at the Ecuadorian embassy in London. According to a statement issued by the Police, Assange was arrested “after his asylum was withdrawn”. Lenin Moreno, President of Ecuador, said it withdrew Assange’s asylum after his repeated violations to international conventions. 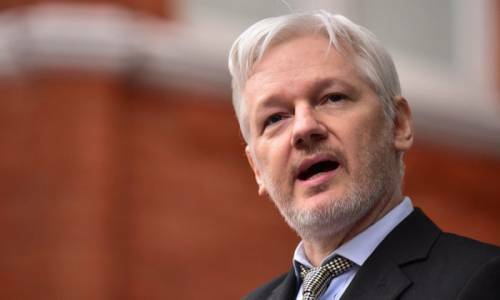 Assange had refused to leave the embassy, claiming if he did he would be extradited to the United States for questioning over the activities of WikiLeaks. Assange is set to remain in custody at a central London police station, before appearing at Westminster Magistrates’ Court “as soon as is possible”. Alan Duncan, UK Foreign Minister, said the arrest followed “extensive dialogue between our two countries”. Assange, a 47-year old computer programmer, was granted refuge in 2012 while on bail in the UK over sexual assault allegations against him in Sweden.